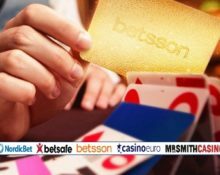 Betsson Group – November Blackjack Boost! Win daily and weekly cash prizes, throughout November 2017! Live Blackjack enthusiasts and wannabees at the ready. Combine colors for daily cash prizes and climb the leader board for even bigger weekly cash prizes this month at all particiapting Betsson Group casinos. Join the hunt for colored card combinations at their Exclusive LIVE Blackjack tables every Monday to Thursday between 6th and 30th November 2017. Get 3 cards of the same color and win up to €250 in cash, twice per day. Additionally, every collected card will earn points towards the weekly leader board. Make it to the TOP20 positions to get a share of the €10,000 cash prize pool that’s up for grabs each week. Plus there will be a Wild Card winner drawn randomly every week from all players who collect at least one card, to win a juicy €500 in cash. 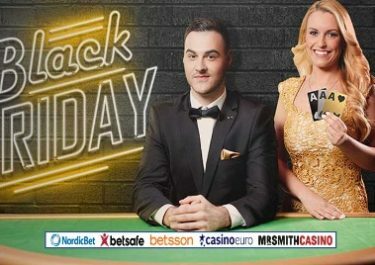 Join any of the participating Betsson Group casinos for this November’s coolest LIVE Blackjack championship and you could take home a share of the €10,000 cash, every week or up to €800 cash, every day throughout the month. This is a network promotion and winners could be from any of the participating casinos. Collecting Cards and Prizes: Differently colored cards are added to each card shoe on selected tables in the Betsson exclusive Live Casino section from Monday to Thursday. Players need to collect three cards of the same color within one day to win a cash prize. Every player can win two card combination prizes per day. Betting behind does not qualify for this promotion. All card combination prizes are credited in cash by 16:00 CET every second day during the promotion. Each collected card will award points towards the weekly leader board with the TOP20 scorers sharing the €10,000 cash prize pool, every week throughout November 2017. The leader board is updated daily and reset at the beginning of each week. Prizes are credited by 16:00 CET on Fridays. Cash Prizes: 1st – €2,5000 | 2nd – €1,500 | 3rd – €1,000 | 4th – €750 | 5th – €600 | 6th & 7th – €500 | 8th to 11th – €250 | 12th to 16th – €150 | 17th to 20th – €100. Wild Card Extra Prize: Additionally to the 20 winners, there will be 1 Wild Card winner every week, drawn randomly from all players who collected minimum 1 card throughout the week. The prize is €500, credited in cash at the same time as the leader board prizes.